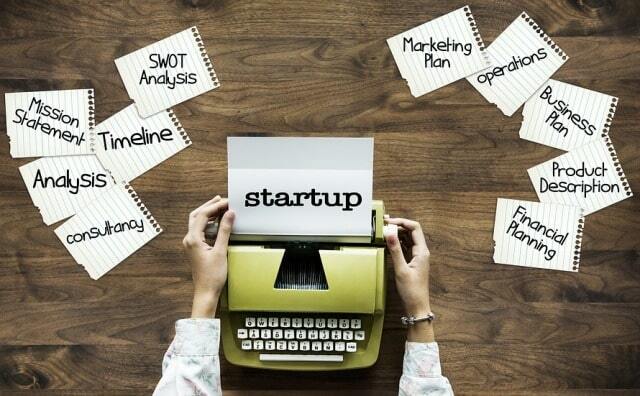 According to the Wall Street Journal, there are over 250,000 new startup companies launching every year. And over 75% of those entreprises consist of owner-operated businesses with no staff. Of all of those dreamers trying to make their own splash in the world of commerce, only a handful will make it past the 5-year mark. Entrepreneurship is not for the faint of heart or for those that can’t handle a financial challenge. When you are planning a business launch, one of the biggest concerns is the funding. On average, a small business can easily cost $30,000 to get off the ground. That’s not small change for most people. The good news is, if you want to strike out with a business of your own there are plenty of financing options to choose from. Whether you start drawing on your own savings, bring in private investors or look into title loans in Sacramento, choosing the right business financing option for you starts with educating yourself. Most startups are initially funded by the owners. You may need to clear out your savings, take advantage of an inheritance that has been left in your name or cash in your retirement. Businesses that are started with personal investment are often more attractive to outside investors as they show initiative and commitment from the owners. Selling your assets for profit is the most common way that small business owners build up cash to help open their doors. You may want to use your lower interest business credit cards to help you with start-up costs like office supplies, equipment and machinery. Many people opt for a home equity loan if they have sufficient money available to borrow. Car title loans are also an excellent way to come up with some quick cash without having to turn over your vehicle as repayments are made. Over 70% of small business owners that launched their companies in 2017 borrowed at least some of their start-up funds from family members or friends, according to a Pepperdine University poll. Friends and family are often less likely to be concerned with any past credit problems and are much more likely to offer agreeable payment terms and low to no interest loan amounts. If your venture fails, however, it can make your relationship very uncomfortable, which is why some people choose outside lenders instead. The government has partnered with banks and other traditional lending institutions to make it easier for small business leaders to get the money that they need. Although this type of a loan is likely to be more strictly regulated, it is a good opportunity to get funding that is partially guaranteed even if your business never gets off the ground. There is no minimum loan amount which can help you from getting in over your head. You need to maintain a 20% interest in the company to qualify, but up to 85% of your loan amount can be safely guaranteed. These investment companies don’t lend money just out of the goodness of their hearts, they are looking for interesting and profitable opportunities. Most venture capital companies receive thousands of applications per year, but only select a few that they feel can guarantee them a profit. Small businesses that have already shown a decent profit history are much more likely to draw the attention of a venture capital firm. This is where individual investors can help make your business dreams come true. Private citizens and savvy investors can be found on angel networks that are dedicated to matching businesses with interested investors. You will likely have to sacrifice an equity share in your business to be considered by an angel investor. They are out there to help new companies get started, but are only likely to invest where they can predict fast growth and eventual profits. I hope you enjoyed this blog post about the major financing options for business startups including raising capital or bootstrapping. Interested in more articles about financing options for your startup?